Every Halloween, an Oakland Man Stages Spooky Marionette Shows in His Driveway – This man is living the dream. As the title says, Larry Schmidt has been putting on a Halloween marionette show in his Oakland, CA, neighborhood for the past 11 years. 8 Cosplayers Share Their Tips, Tools, and Ingenuity – Make Magazine showcases eight different cosplayers and their fantastic costumes. 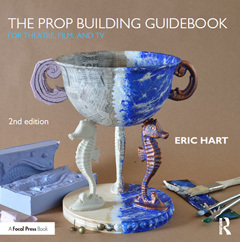 Many of their tips are useful for prop builders as well. Hollywood’s Female Crewmembers Suffer Harassment Without the Platform of Stardom – While harassment of actresses has been in the news lately, the ongoing and pervasive harassment of female crew members is less visible. In theatre, the problem is even less acknowledged; as far as I’ve seen, none of the backstage publications have addressed the continuing problem of sexual harassment of women theatre technicians, designers, and students. 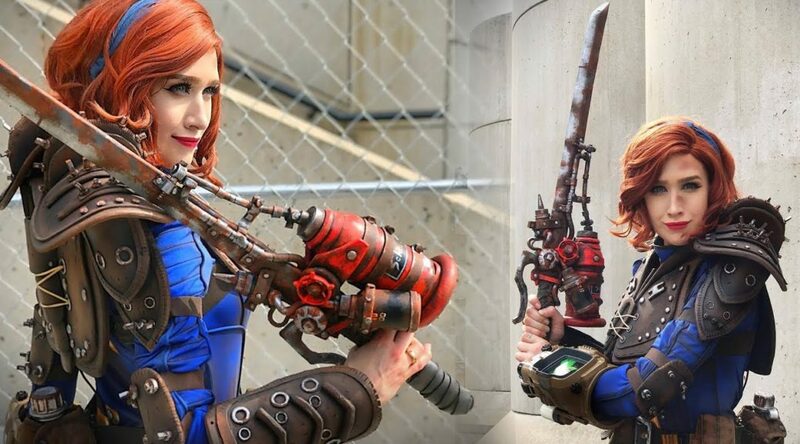 How to make a Shishkebab Prop from Fallout 4 – Zonbi brings us this video showing how she built this flaming sword weapon from the popular Fallout 4 video game. The materials are inexpensive, but the result is pretty hot.